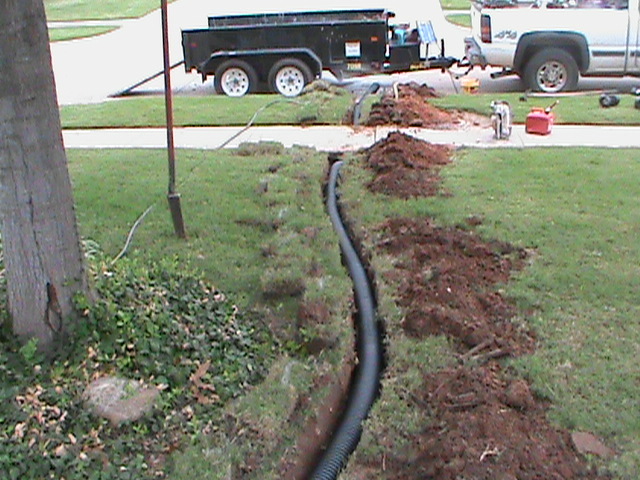 Oklahoma City French Drain Installation, French Drain Contractor. Recently we had a customer in Oklahoma City who had water from her neighbors yard that would wash under her fence and into her pool in the back yard. Every time she had a hard rain her swimming pool would fill up with Storm Water and mud. 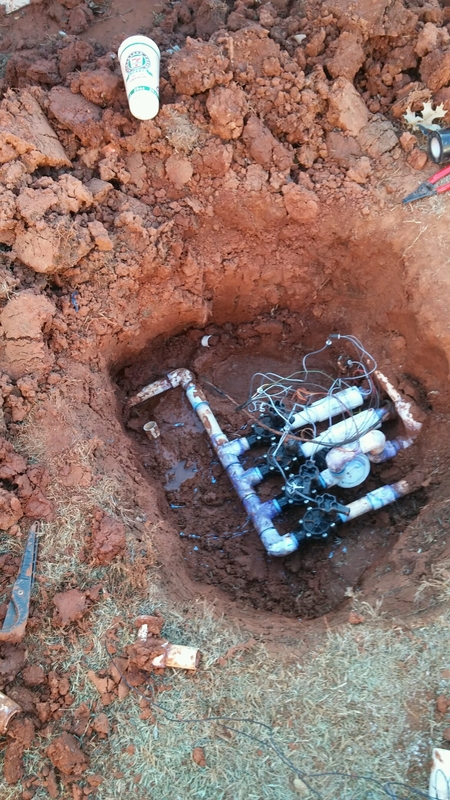 After diagnosing her Drainage Problem and providing a Free Estimate, She decided to move forward with the Drainage System Installation. We installed a 6 inch French Drain that went all the way around the pool in the back yard and then ran all the way to the street on both sides of the house. The French Drain made the shape of a horse shoe. The Drainage System had two Curb Outlets installed through the curb at the street. 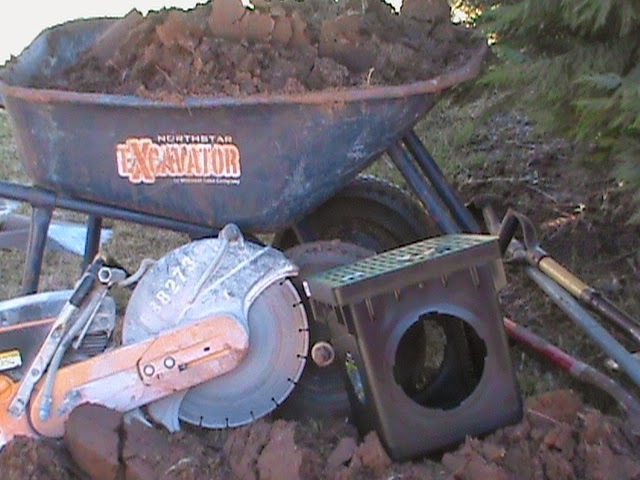 This gave the French Drain two different directions to allow the water to flow to the street. Two Drain Outlets allowed the French Drain to move a huge amount of water during heavy rains. Weeks later we got a call from our customer after a heavy rain. She was very happy. The French Drain did a great job protecting her pool. All the Storm Water was diverted around the Swimming Pool. you’re truly a good webmaster. The site loading speed is incredible. It sort of feels that you’re doing any distinctive trick. Moreover, The contents are masterwork. you have performed a great job on this subject!